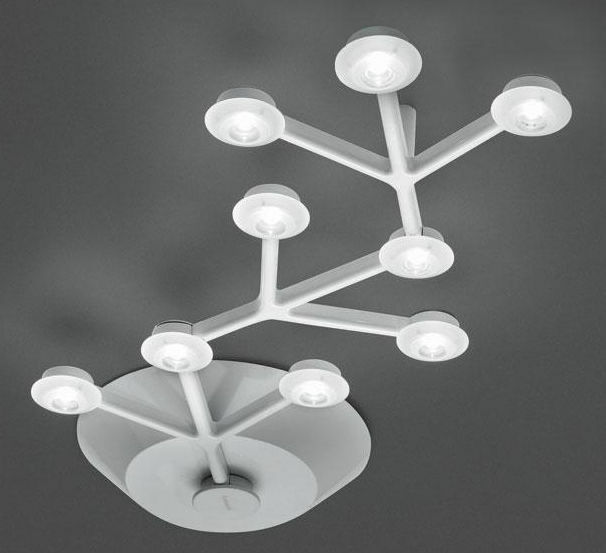 This LED ceiling light by Michele De Lucchi and Alberto Nason designed for Artemide is one of the novelties the Italian manufacturer presents at 2011 light+building fair in Frankfurt. It is composed of an aluminium plate onto which a printed circuit board for the LEDs is fitted. Each LED is fitted with a transparent methacrylate lens and a satin finish methacrylate lens-holder.